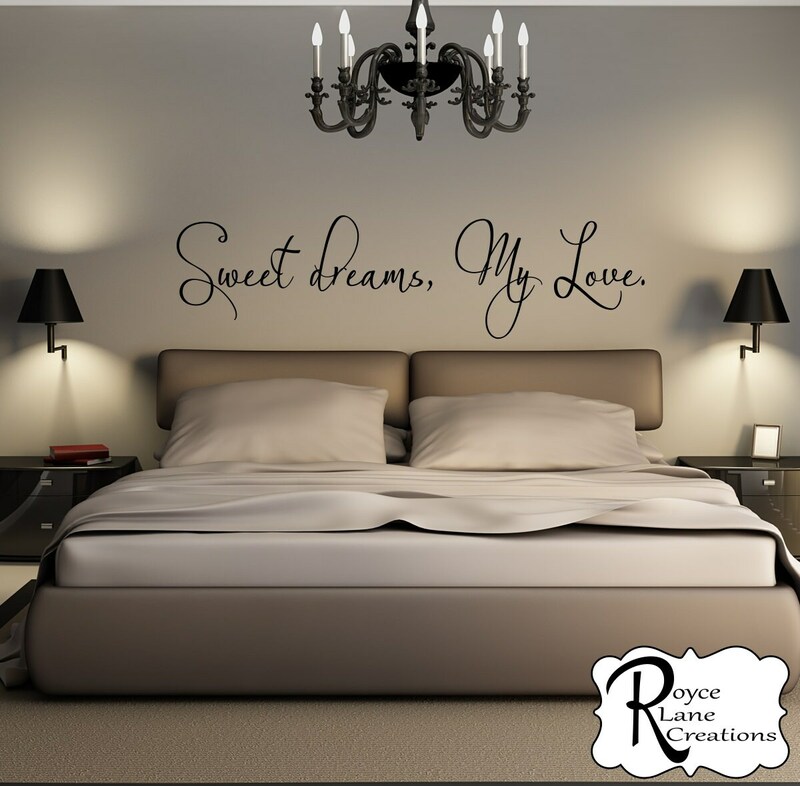 This bedroom decal is made using a wispy font light as the beautiful dreams it will inspire! This quote is perfect to use above a bed in any bedroom. This decal is available in several sizes and any of our colors. Scroll through the listing photos to see our color chart and other views. I ordered this decal and I love it! There was a little delay in delivery due to the holiday month. But the decal was exactly what I ordered! Watched the video and followed the instructions. Decal would not come off of the paper. Even had two of my friends watch the video and try, still nothing. love it! Looks great on our bedroom wall.